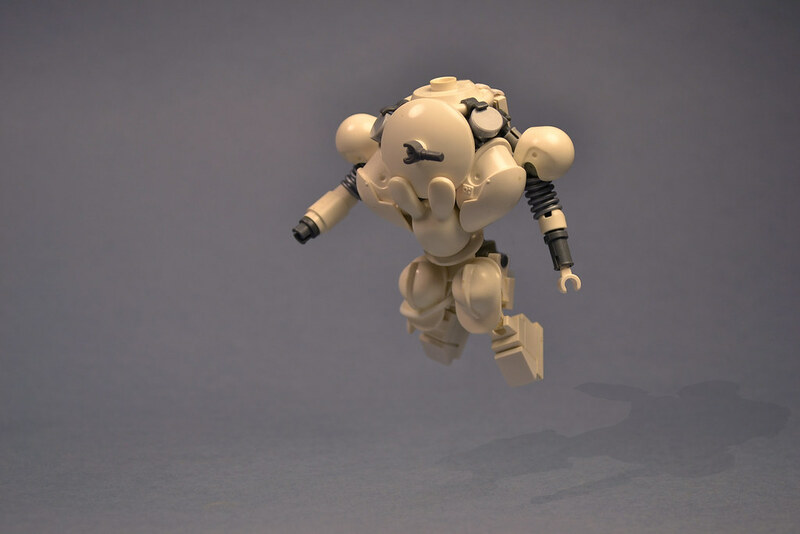 [MIXBRIX] has given us something new in the way of MaK hardsuits, which have, frankly, become a little stale. I love the seemingly random collection of round white elements that work together so well. He even threw a bunny head on the front, and it fits perfectly. The dynamic pose is great too. 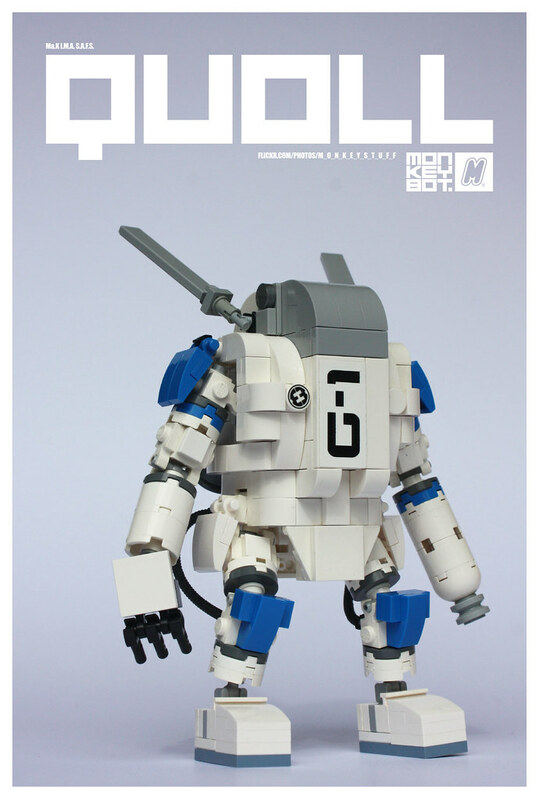 I'd like to see a darker background considering the nearly all-white color scheme. 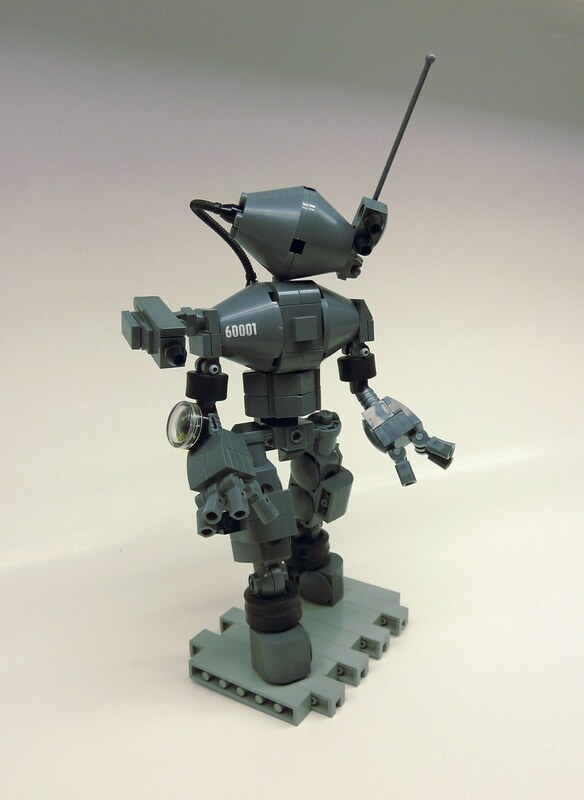 m_o_n_k_e_y, one of my all time favorite mech builders, gave us his take on MaK. I love how clean and geometric the helmet area is, it's an amazing look. 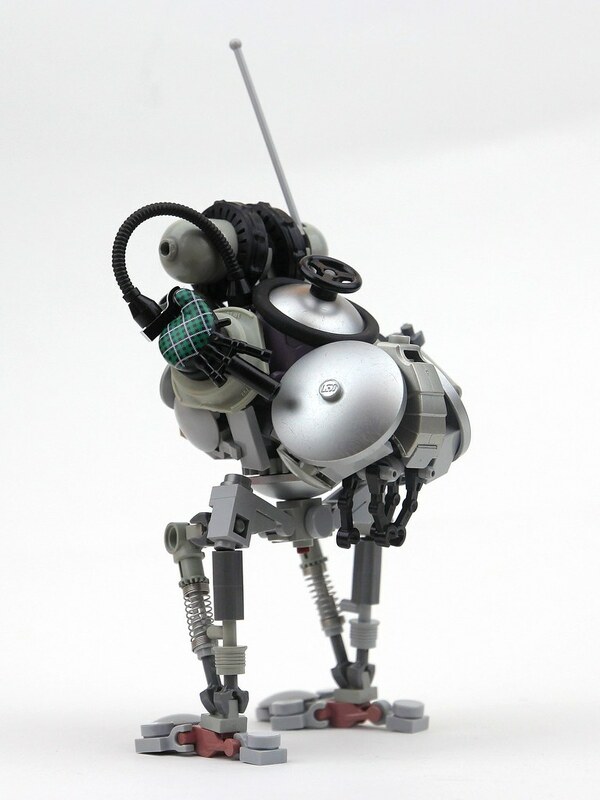 The small legs combined with the bulky torso and long arms give it the MaK vibe. The back of the suit is even prettier than the front, with well integrated printed tiles, jets and tubing. SuperHardcoreDave has really become one of my favorite prolific builders on Flickr, he's always got something new to show. I really like how consistent his part usage is here, besides the cheese slopes on the lower torso all the piece are round and clean. The inclusion of the compass as a gauge and the little ID number sticker are great touches. The color scheme is a little bland, but it is supposed to be an industrial fighting machine so it is more realistic this way. 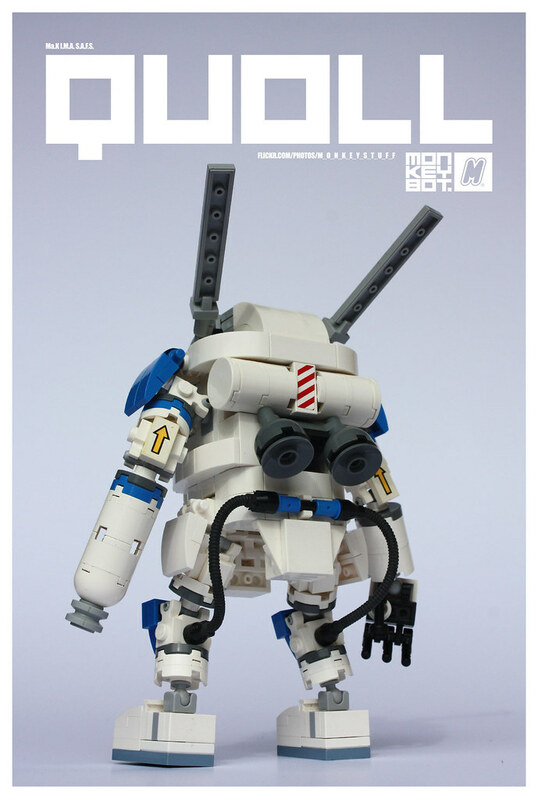 Rancorbait is a great builder, working primarily digitally. 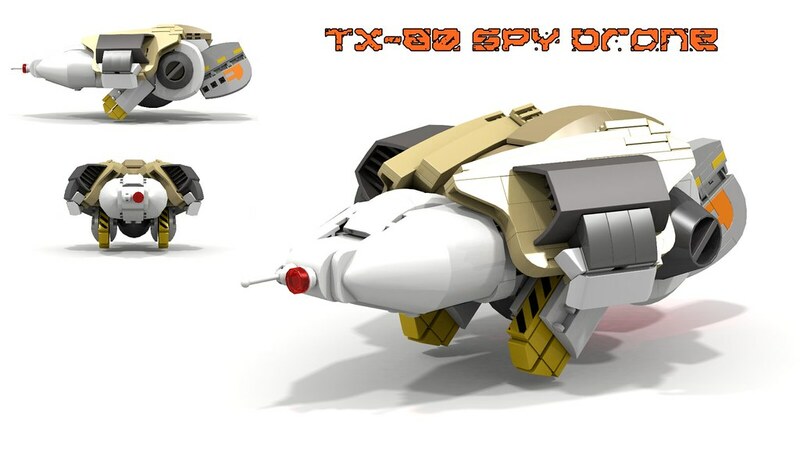 This quirky drone is deceptively brilliant, it seems really complicated but from the side-view you can see how well defined the shapes are. The range of colors seems kind of random which helps with the practical look, and I think they work together well. Again, a dark (even black) background would help make the cockpit pop. There are some really nice assemblies here. Brick Vader has gone a little NPU crazy here, he's got everything from springs to a horse helmet. And somehow it all works. Putting cut flex tube on the bagpipes is a nice technique that nicely transforms them into a lethal weapon. The mix of grays and metallic colors is weird, and it's possible a cleaner color scheme would make it more striking, but I like the mix here. It looks like whatever dark corporation produced it was more concerned with making it cheap and fucntional than making it attractive.